Jake’s Gouda Cheese began with a simple idea – that well crafted food is inherently good. Jake and his wife Sylvia decided to apply this idea to Gouda cheese. Gouda needs to breathe and most of what he could find locally was sealed so tight it was as if the goodness had been squeezed right out. 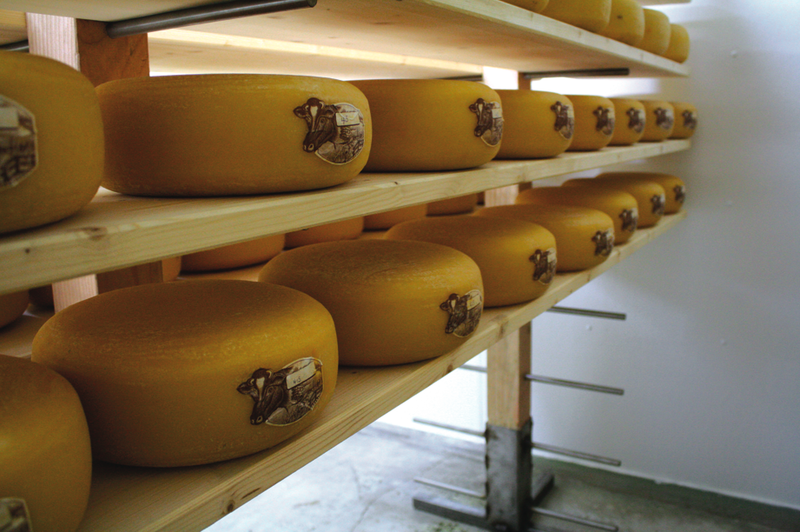 With milk sourced from their own dairy farm in Deansboro, New York, Jake began creating cheese in the Dutch tradition. Still handmade in Upstate NY, Jake’s cheese has its roots in Holland. It’s turned daily on pine planks to ensure uniform age and perfection for at least sixty days and is covered with a cream coating instead of a wax seal. It’s also a raw milk cheese – no high temp pasteurization here. The results? One of New York’s finest traditional style Gouda cheeses.